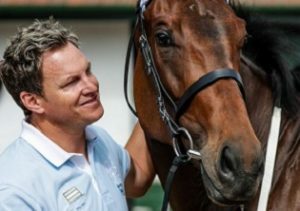 Jack Milner: There were two names that came up three times each at Tuesday night’s Equus Awards ceremony held at Emperors Palace – Oh Susanna from the equine nominees and Lyle Hewitson from the human candidates. 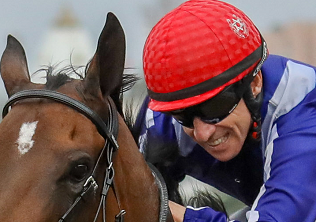 Sun Met winner Oh Susanna was named Champion Three-Year-Old Filly, Champion Middle Distance Horse and finally, the biggest honour of the night, she was named Horse Of The Year. She set the records on the turf, becoming the first three-year-old filly to win the Met in more than 100 years. Meanwhile Hewitson was writing his own history into SA racing’s record books. 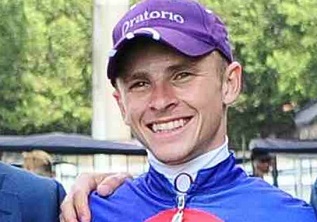 Earlier this year he eclipsed Gavin Lerena’s record of 284 wins as an apprentice and on 31 July became the first apprentice since Michael Roberts in 1972/73 to be named Champion Jockey. Apart from being named Champion Jockey Hewitson was also the Champion Apprentice and was then honoured with a Special Achievement Award along with jockey Anton Marcus and trainer Mike de Kock. Justin Snaith(seen above with Oh Susanna) had a remarkable season and was named Champion Trainer. 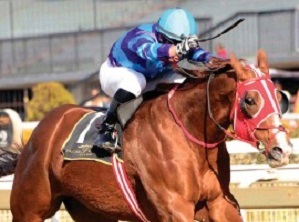 He was also on the stage on four other occasions as he trains Oh Susanna as well as Vodacom Durban July winner Do It Again, who was named Champion Three-Year-Old Colt/Gelding. 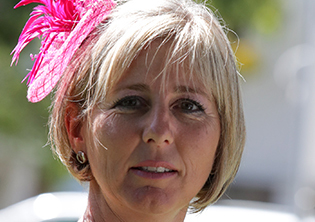 Sean Tarry and De Kock may have finished in second and third place respectively on the trainers’ log but both have some decent horses for the future which was reflected in the two-year-old awards. 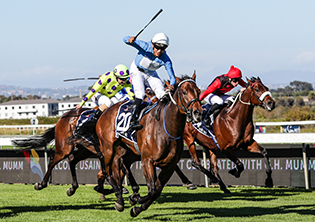 Tarry-trained Return Flight, winner of the Grade 1 Thekwini Stakes, won the fillies’ award while De Kock’s charge, Soqrat, was named Champion Two-Year-Old Colt. Tarry will also be delighted that Legal Eagle, still unbeaten over 1600m, was named Champion Older Male and Champion Miler. 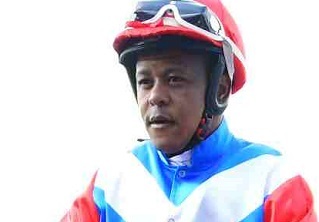 For De Kock there was further acknowledgment as Nother Russia, who is now at stud, was named Champion Older Filly/Mare. The Champion Stayer must have been no contest as It’s My Turn, finished off the season with three feature-race wins over 2400m, 3000m and 3200m respectively.